Ref: HG007 18th C. industrial design, bronze and wood. Collectable because of their combined historical and practical value. Some glasses measured up to two hours, used at a time when church pews were designed by the Inquisition to torture the human back. 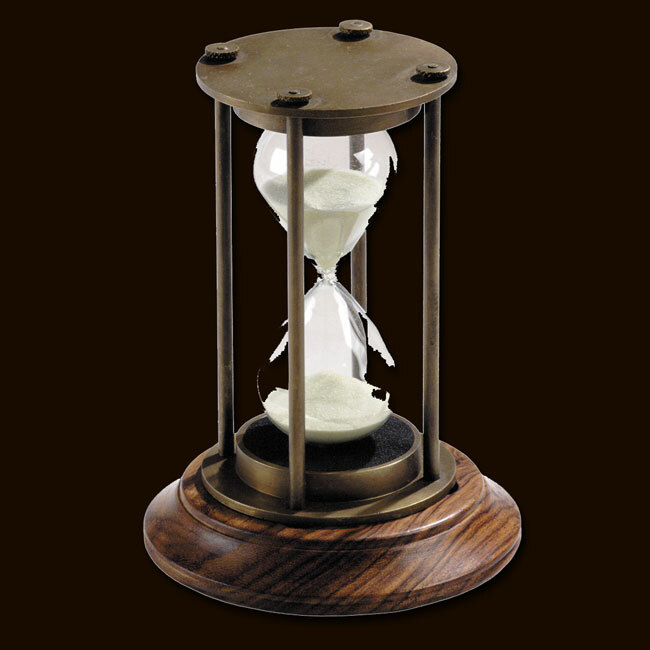 Ships hourglasses were calibrated to the half hours of the ships watch, and if the helmsman didnt turn the glass too early it actually doubled in defining longitude. Navigators tried to keep count of the hours: the galleons wrecked on the Western Australian reefs remind us of the perils of incorrectly kept time. To appreciate the important symbolism of the hourglass observe, Renaissance painted still lives, also called Vanitas, filled with symbolism and morals. 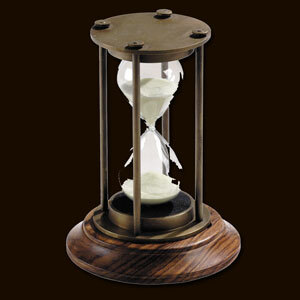 They very often depict hourglasses.